I was looking at new beauty releases in Douglas at Bulgaria Mall, when I came across the new Amber Valletta makeup line. I have always liked Amber because she’s just so natural, and that’s what makes her truly beautiful. So, I got curious about her Capsule Collection for Douglas. 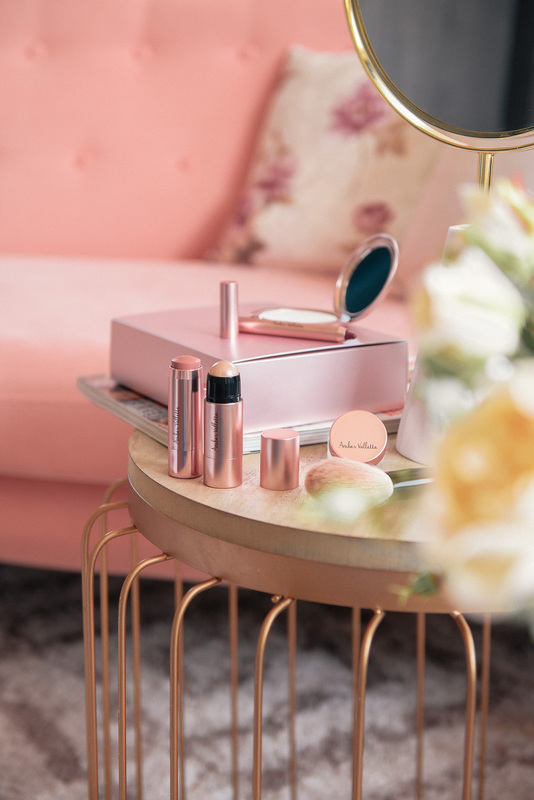 The Makeup Capsule Collection is made up of a few products for eyes, lips and cheeks with the only idea – to remain authentic while using them. 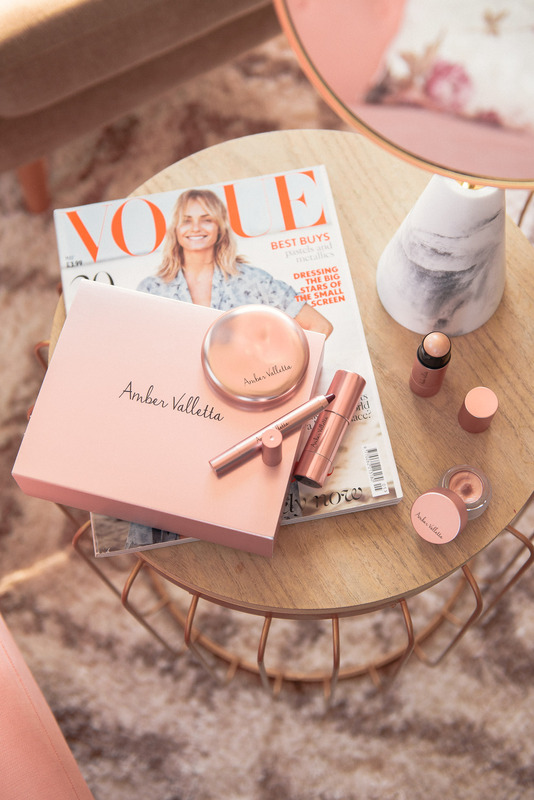 And since I adore natural looks and products that are simple to use, I was hooked to try and recreate this easy makeup look inspired by Amber Valletta. The Eyelight Cream Eyeshadow must be my favorite product of all in this capsule. It has a creamy texture, and is so easy to apply. It gives the eyes a delicate, slightly shimmering rose tone, which makes the eyes shine naturally. It gives the eyelids this nice wet look, which I really, really like. The Spot-on Highlighter is also quite nice, as it has a delicate balsam texture in the form of a stick. It’s very discreet with buildable coverage. However, I personally feel there is no need to build it, but just lightly add radiant accents for a natural glow. Cheeks are also given a beautiful natural blush with the Snapshot Blush Stick. I love its rosewood shade, because it’s very skin tone flattering, and adds a very subtle freshness to the face. The texture is also very easy to use and blend. The Big Impression Lipstick Pencil features a seductive lip color. For me, it is more appropriate for the evenings as it’s very intense and has a rich pigmentation. But I have found a way to work it for the everyday by removing part of it with a napkin. However, the Snapshot Blush Stick can also be used for the lips to achieve the daily Amber kind-of-look. The collection also features an Instant-Blur Compact Powder. It can be used alone or after make-up. It functions as a control to oil production for a long-lasting matte, silky smooth finish, and gives the previously applied make-up a longer hold. I’m not a fan of powders but this one I like because it’s very, very light and natural looking. What do you think about this natural makeup look inspired by Amber Valletta and her Capsule Collection for Douglas? Are you keen to try any of the products? *This post is part of my collaboration with Bulgaria Mall, where I aim to bring you fashion and beauty inspirations that can be found at the shopping center.